Do we want smart TVs? 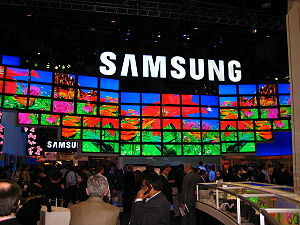 This month’s Consumer Electronics Show (CES) in Las Vegas is a good pointer to the latest trends in technology. Last year the event was all about tablets, and this year smart, internet-connected TVs were all the rage. The aim of these machines is essentially to make the TV the hub of the digital home, replacing the laptop or even tablet when it comes to entertainment. The viewers of the near future will be able to use social networks, run apps and play games all from the comfort of their sofa. Now I’m the first to see the advantages of TVs that can stream programmes through services such as BBC iPlayer, Netflix and even YouTube straight to your screen, without needing to fiddle around connecting your laptop to your TV. The industry jargon is that TV is a sit back medium (as opposed to a lean forward PC), essentially for the majority of viewers interacting with their TV involves shouting at the screen rather than fiddling with a keyboard. Often people have had enough of interacting with a computer by the evening, so want the alternative of slumping on a sofa. It may appear basic to the titans of Silicon Valley, but TVs are simple and intuitive to use – even if you have hundreds of channels to surf through. And that’s what people expect – while lots of the smart TVs were voice and motion controlled this needs to be better than the remote if viewers are going to switch. TVs are normally the most expensive consumer electronics device in a house – costing more than a phone, tablet or most PCs. So people don’t tend to replace them that often, which has two main issues for smart TV adoption. Firstly, it will take time to build up an installed base of smart TVs and secondly people are going to be wary about investing in a set that will potentially become obsolete in a year or two. Maybe this is the time for a revival of the concept of TV rental? There are already lots of ways of accessing the internet in your living room. Aside from laptops, you can get connect using games consoles, blu-ray players and a host of other devices. These all tend to be cheaper than a whole new TV so provide a simple method of getting online without breaking the bank. We’re used to different standards and technologies when it comes to technology, but the plethora of competing approaches – whether Google TV, Linux or the much-mooted Apple iTV could lead to fragmentation. The last big standards war was in first generation video recorders – and no-one wants to invest in an expensive TV that turns out to be the new Betamax……..
Don’t get me wrong – I think that the breadth of content on the internet and the ease of delivery mean that the future of TV is connected. However it will take time and a bit more industry-wide thought and collaboration if it is move to the mass-market and beyond the early adopters.